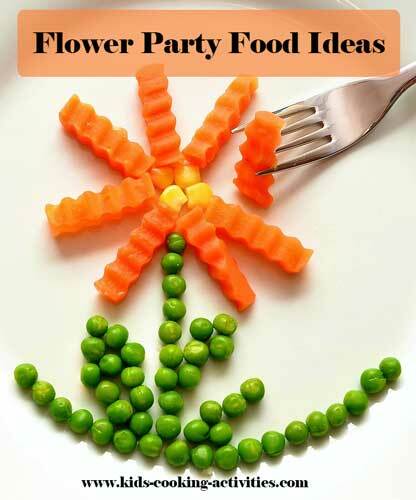 These flower party food ideas are great for kids to create the recipes and plan a family dinner party. Have them draw their own party menu and invitation for the guests. They could create flower decorations out of construction paper to decorate before the party, too. 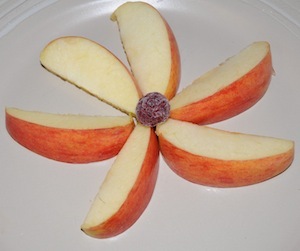 Add a berry as the center of each flower. 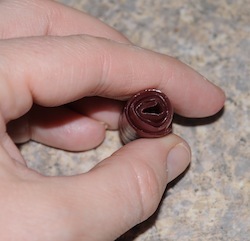 Unwrap a fruit roll up and starting at the end roll tightly to the other end. 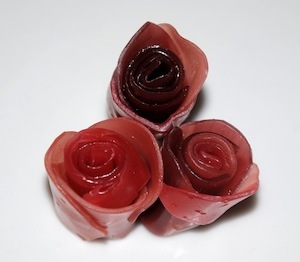 From other pieces of fruit leather or roll ups cut petal shapes. 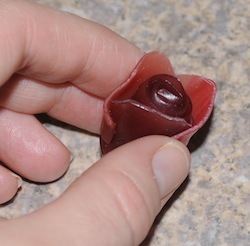 Moisten sides of petals and attach three to each side of the roll. ~ If rose doesn't stand up cut bottom flat with kitchen scissors. 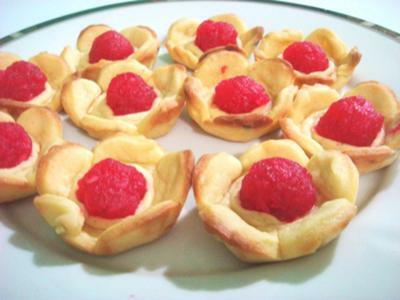 Using homemade or refrigerated biscuits. Cut into rounds. For every other one cut snips in the dough for the flower top. 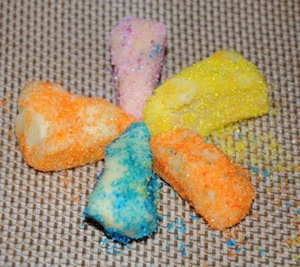 Sprinkle flower top biscuits with shredded cheese. Top with sunflower seeds. 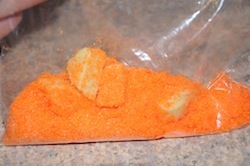 The cheese will melt and help the seeds stay put. Bake biscuits until golden brown. 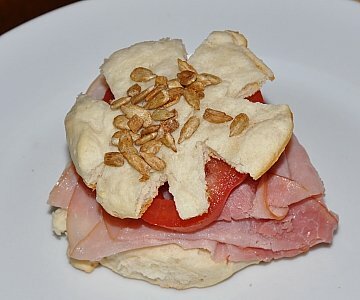 Create your flower sandwich by adding sliced meat, sliced tomato, cheese and top with a flower biscuit. Roll your sugar cookie dough in a log and wrap in waxed paper. Freeze 20 minutes. Slice dough into round circles. Cut 4 wedges from each circle. Roll each piece in different colored sugars , we used a baggie. Place on a cookie sheet. Form flower petals with your wedges. Bake 10-12 minutes or until edges are golden brown. 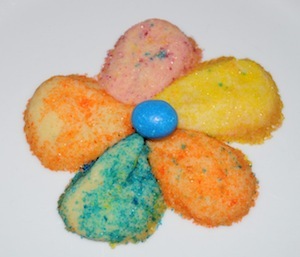 Press a round candy piece in the center of each flower cookie.